The tourbillon is one of the most highly regarded complications you can buy in a wristwatch. The reasons for this are usually a combination of its perceived technical difficulty together with its aesthetic beauty. The contribution of a tourbillon to the precision of a wristwatch is always a heavily debated topic. It was originally developed for pocket watches which remain the vast majority of their time in one or two positions. When our timekeepers migrated from our pockets to our wrists, the movements of our arms brought the balance wheel in so many different positions that this almost acts as a natural ‘tourbillon’. But then again, we don’t wear a mechanical wristwatch because it is so precise, we wear it because they are objects of great beauty and technical perseverance. After the invention of the tourbillon by Abraham-Louis Breguet in 1801, it remained a rare and exclusive complication. In fact, only a relatively small group of watchmakers took an interest in them, serving a group of watch collectors and connoisseurs who were ‘in the know’ about this remarkable complication. This changed when, after the quartz crisis, there was a renewed interest of the general public into mechanical watches. They went from functional timekeepers to objects of art that just happen to tell time. On this stage, the tourbillon emerged as one of the most eminent players. At first, these watches featured the traditional tourbillon over a single axis, as designed by Breguet, but as the interest in the complication remained strong, there was room in the market for more exclusive, hence complicated, tourbillons. To make a tourbillon more complicated you can do quite a few things but the most popular ones have been to either let them rotate over more than one axis, or to use multiple tourbillons in a single movement. The double-axis tourbillon was invented in 1977 by Anthony Randall. As the name already indicates, this tourbillon doesn’t rotate over just a single axis, but two, and this was the first of its kind. This first double-axis tourbillon was actually used in a clock, and wouldn’t be used in a wristwatch until the early 2000’s. Later on, a triple axis tourbillon would also be introduced into wristwatches. With the Hublot MP-09 Tourbillon Bi-Axis the multi-axis tourbillon is perfectly integrated in the overall design of the watch. The appeal of a multi-axis tourbillon lies in the fact that it is much more of a three-dimensional object that is in constant motion. It not only offered new challenges for watchmakers but also for designers on how to incorporate the complications unique qualities best so that it can be admired in its full glory by the owners who wear the watch. 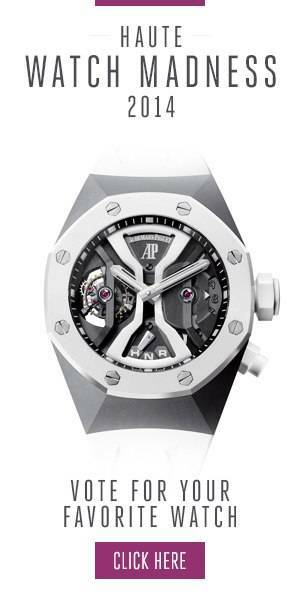 This has resulted over the years in many unique designs, such as for example the Hublot MP-09 Tourbillon Bi-Axis. Integrating multiple tourbillons into a single movement is another way to make a tourbillon watch more complicated. What it generally does is that the watch takes the sum, through a differential, of both tourbillons which average out positional errors. Again the focus is increased precision, but the visual impact of these watches are for many the true reason to purchase one of these watches. In the upcoming weeks we will venture out some more in the fascinating world of one of the most beloved complications: the tourbillon.